Landscape Lighting Software just recently introduced their landscape lighting design package featuring ClaroLux Landscape Lighting fixtures. No longer will you have to wait for it to get dark to show your customer how their home or landscape will look. With Landscape Lighting Software’s design program you can now take a picture of what you are wanting to illuminate, upload it to your computer, and begin to design your landscape lighting system. It is that easy. To learn more about how the software works please see the YouTube video below or visit them on the web. 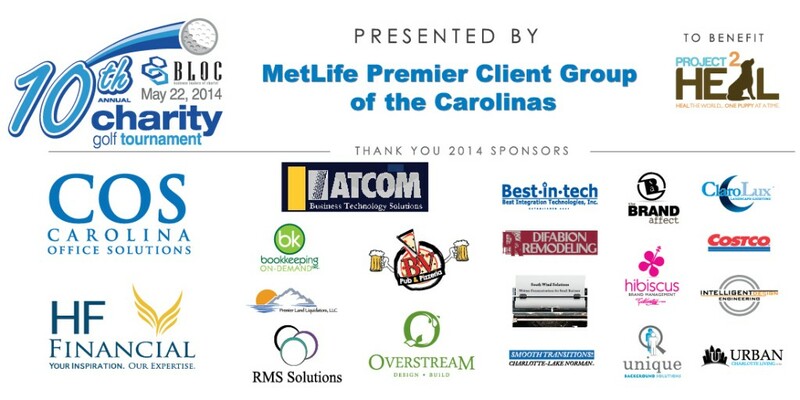 Clarolux was a proud sponsor of the BLOC (Business Leaders Of Charlotte) Charity Golf Tournament today. Thank you BLOC for putting on such a great event at the Ballantyne Resort and Golf Club in Charlotte, NC and thank you Roby Electric for inviting ClaroLux to be apart of this wonderful event. We had a blast and are proud to support organizations like BLOC & Project2Heal. Donating Labrador retriever pups to service dog organizations as a way to help them reduce their cost and time involved in making placements to their clients. Training Labrador retriever pups as skilled companies for local children. Providing a peaceful and accepting environment for families of children with special needs. Here, the children can engage with our puppies and adult dogs. Selling high quality pups and adult dogs on a limited basis to qualified families seeking a pet as a way to fund our mission. Project2Heal is located on a beautiful 3-acre facility in Waxhaw, just outside of Charlotte, North Carolina. Project2Heal is a one-of-a-kind organization serving special needs children and their families. If you know of anyone who could benefit from Project2Heal please visit them on Facebook or on the web.